A young gentleman, living and working in London, will like this very sharply cut three piece suit. A double breasted, traditional waistcoat, with a shawl lapel, compliments the overall look of this two-button, two piece suit and they sit very well together. 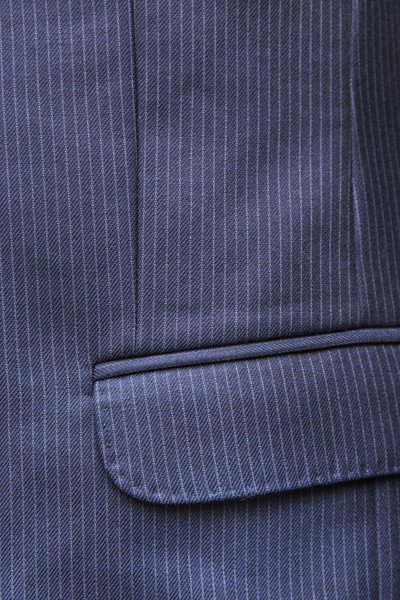 The suit was made in England and was cut from a medium wool. 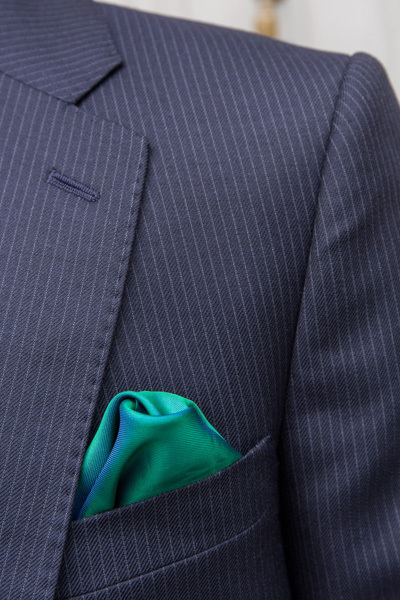 This style of suit is hand tailored and it takes 8-9 weeks to complete, unless you opt for our Express Service. A halfway baste fitting, followed by a subsequent forward baste fitting, ensure that the the suit is finished and delivered in order to meet the customer’s wishes. See also: Bespoke Three Piece Suits, Grey Three Piece Suit, Mens Slim Fit Three Piece Suits, Mens Wool Three Piece Suits, Navy Three Piece Suit, Savile Row, tailored three piece suit, Three Piece Pinstripe Suit, Three Piece Suit, wool suit. 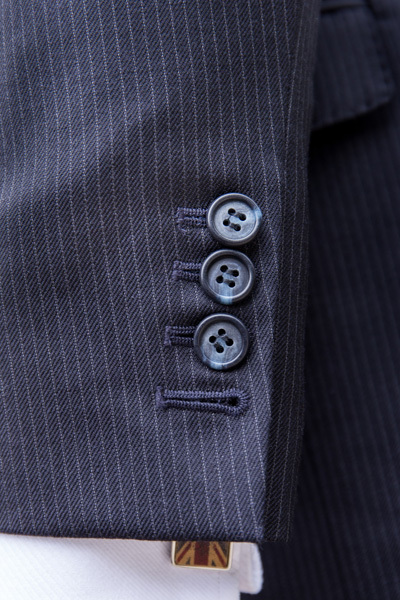 The London Cut - Bespoke Suits By Savile Row Tailors. 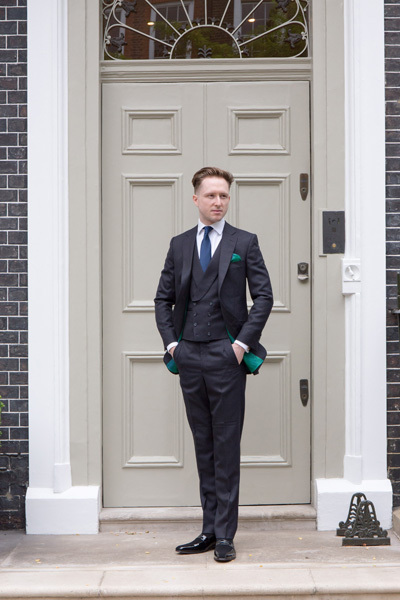 A very sharply cut three piece suit for a young gentleman living and working in London. The two-button suit is complimented by a double breasted waistcoat.